Owners, Renters and Guests: The Building Manager can be reached in an emergency such as a water leak, elevator issue, power outage, etc. The full recorded message is as follows: the Sandarac after hours recorded message is clear and the instructions are as follows: Thank you for contacting the Sandarac after hours. Please listen carefully as our menu has recently changed. For a fire or medical emergency, please hang up and dial 911. To leave a voice mail for Sandarac I, Building A, please press 1 (which routes to Jennifer Darrow’s voicemail.) To leave a voice mail for Sandarac II, Building B, please press 2 (which routes to Sandra Caron voicemail.) For a building emergency for Sandarac I, Building A, please press 3 (the call then routes to the Manager, Jennifer Darrow’s cell phone.) For a building emergency for Sandarac II, Building B, please press 4. (the call then routes to the Manager, Sandra Caron cell phone.) Thank you. The calls are automatically routed to the Building Manager’s phone and should be treated as a true emergency. If it can wait until morning, for things such as a lighting issue or your FOB or pin not working, please call the office and leave a voice mail (option 1 or 2) so we can follow up on the next business day.Option 3 or 4 as an EMERGENCY OPTION ONLY. 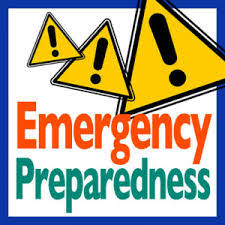 We do not consider questions about rental check in, parking, keys, internet, phone or cable outages to be a building emergency, it will wait until the next business day. Also, we do not handle rentals for owners. If you are a renter through a rental company, please contact your rental agent for assistance, they will contact the property Manager on your behalf. Also, please note: issues inside a unit is owner/rental company responsibility, not the association. For more information about maintenance requests, please visit: http://thesandarac.com/maintenance/maintenance-request. Remember, the office is a shared office with two different associations so you must know which side you are on. If it ends in A, you are part of Sandarac I, if it ends in B, you are part of Sandarac II.